Uninspired. That would be the best word to describe how things are going right now. I feel very uninspired in just about every aspect of my life. Uninspired creatively (as I currently have no creative outlet right now). Uninspired in my personal life. I even feel uninspired to do anything about being uninspired. Is this what middle age is like? Is it a long stretch of tediousness until death? If I were wealthy, I suppose I could buy myself out of this current state of ennui. I bought a new toy from Fort Troff. I love it when “toys” are on sale. “How are they?” … you might ask? Painful. But pleasantly so. Friday, I went over the Asheville and grabbed the new Siouxsie and the Banshees vinyl re-issues. They sound pretty good and mostly reproduce the art and labels from the original Polydor releases. Saturday, A&A and the boyfriend and I went over to Franklin to kick around. We had a nice lunch and strolled Main Street. Sadly, we were a bit rushed as one of the A’s had to be back for a retirement party. 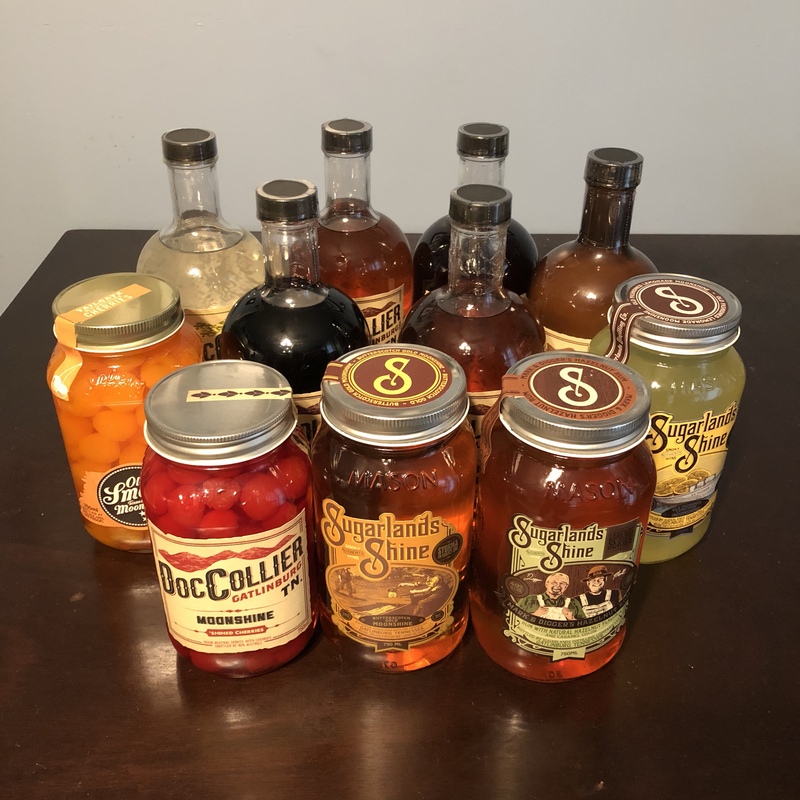 Sunday, the boyfriend and I made an impromptu trip to Gatlinburg wherein lots of moonshine was drunk and purchased. Those tastings will get you every time. We still like Doc Collier the best (that’s all the tall bottles in the back)! Maybe that is the answer to ennui? Become an alcoholic and lay drunk all the time. Anyhoo … the work week is underway. Such excitement.